Few toys tap into a children’s wild imagination quite like the incredibly simple yet wildly ingenious plastic bricks known as Legos. Be it a replica of Han Solo’s Millennium Falcon or a bustling colorful brick city, there are few limits on what can be created with a set of Legos. Understanding the inspirational power native to these bricks, an Italian entrepreneur decided to dramatically up the building-block ante with a project called Edo. 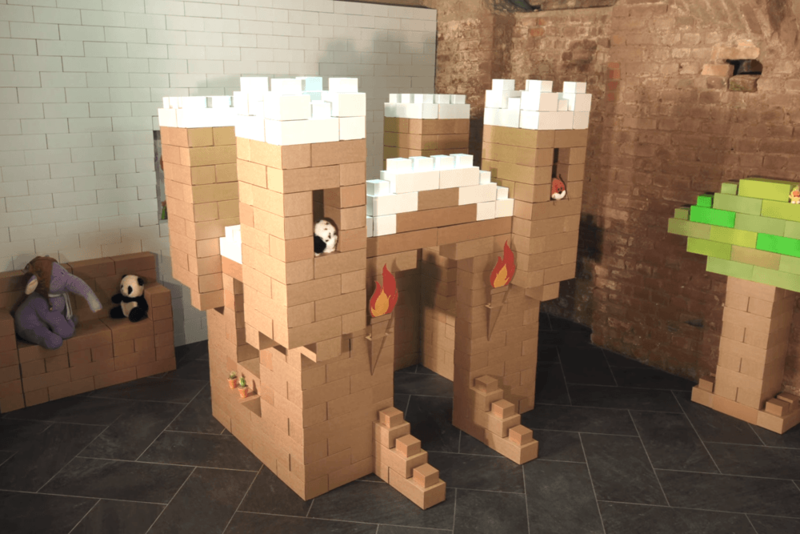 Essentially Legos on steroids — and made of cardboard — Edo blocks expand on the DIY spirit in a manner similar to their smaller plastic cousins while adding their own unique flair. They’re basically Legos big enough to use to build a small house. Knowing that something described as “giant Legos” is bound to be a massive hit, Simon Marussi (the entrepreneur behind this innovative idea) decided to launch Edo on the popular crowdfunding site Kickstarter. The campaign offers adopters the opportunity to choose between blank sets of Edo or specific packs capable of building crocodiles, giraffes, and Edolinis (essentially an Edo-built person), with the largest set containing a whopping 500 pieces. 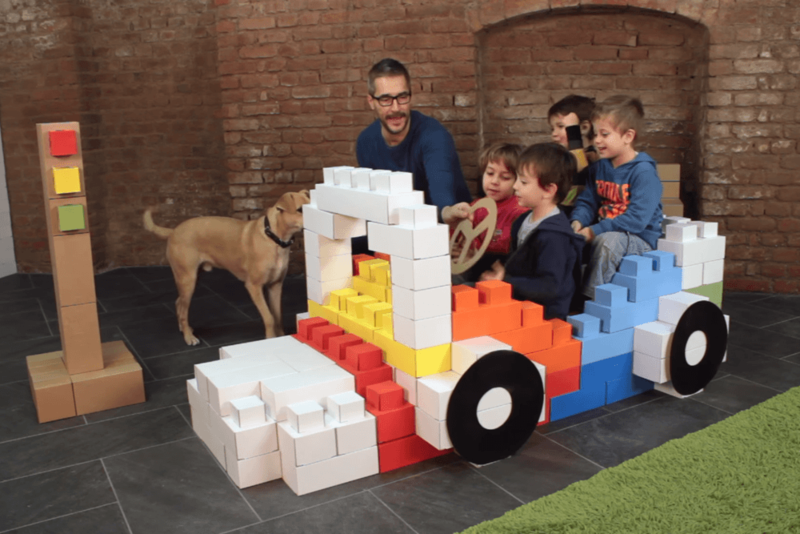 Made of nothing more than cardboard, Edo bricks are fully customizable by the user. Be it covering them in spray paint, adding googly eyes, or using glue and construction paper, the final product is completely up to the builder. To show this off, the launch video displays constructed castles, dog houses, trees, and even cabinets using nothing but combinations of Edo blocks. Obviously, Marussi developed these blocks with children in mind but it’s hard not to imagine the kind of adults who still have tubs of Legos in their house salivating at the opportunity to play with this innovative set. Edo blocks ship to backers as a group of flat, high quality corrugated cardboard pieces that (according to the Edo team) are “very easy” to assemble. Though we’ve yet to put this to the test ourselves — be on the lookout for a hands-on video soon — the campaign says kids as young as 10 should have no issue piecing them together. Available shapes include one, two, and four brick pieces as well as single and double flat sections, and are made of 100-percent recycled and recyclable cardboard. At the time of this writing, the Edo Kickstarter campaign already boasted 14 backers for a total of roughly $1,300. With 29 days left, Edo has plenty of time to reach its $43,000 funding goal.